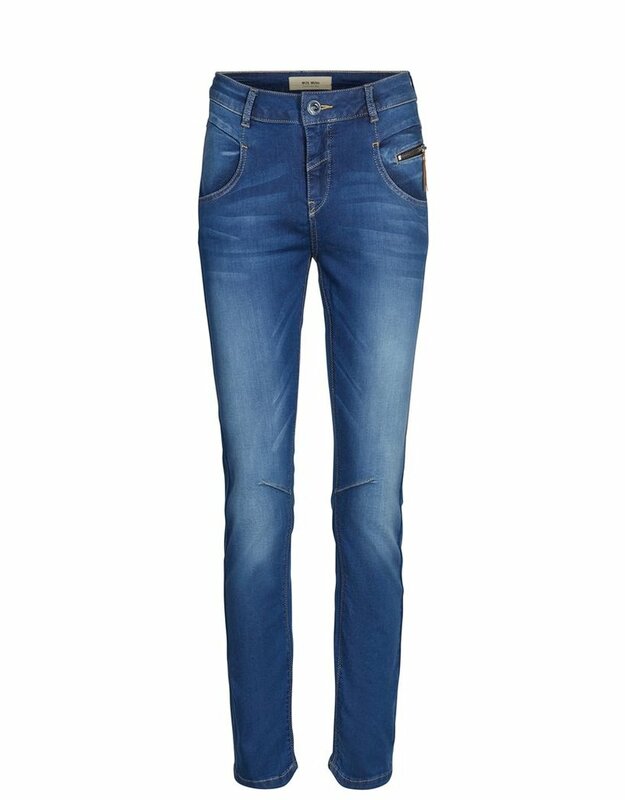 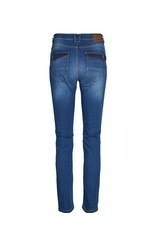 A pair of blue jeans cut with a tapered fit to be used slightly baggy or high waisted. 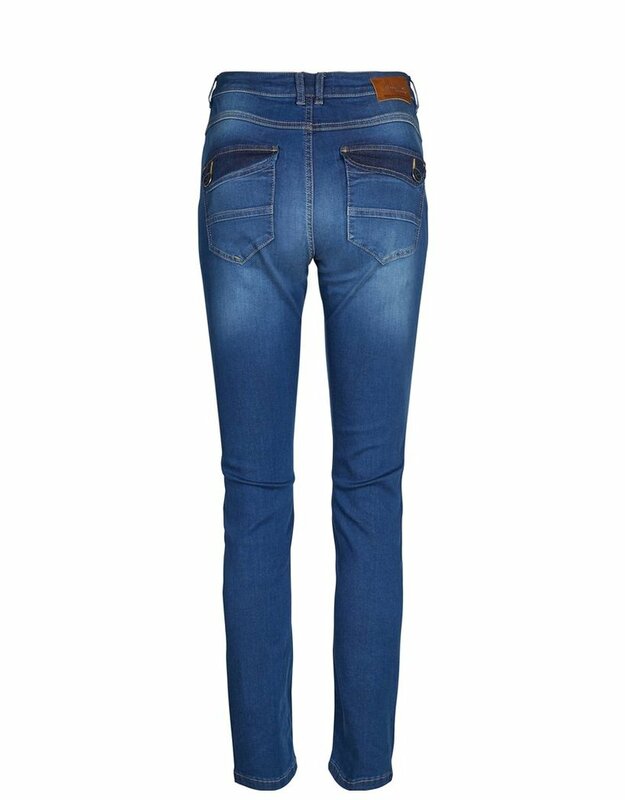 Designed with back pockets with flap and cut with plenty of stretch, which allows more flexibility and comfort in your jeans. 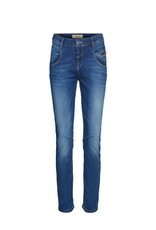 Wear them with a loose tee or dress them up with a silk shirt and a blazer.